With 2018 being a strong candidate-driven market, you are getting more looks from the companies you are interested in. In our first edition of our “You Landed the Interview, Now What?” blog series, we highlighted the different types of job interviews. 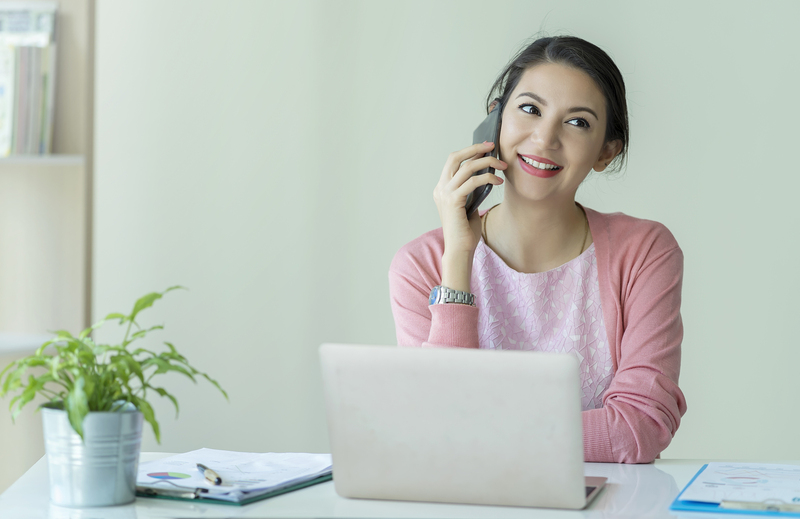 The phone interview is an essential part of any recruiting process and is often overlooked. Let’s break down the phone interview to ensure you’re prepared. If the call is with HR or a recruiter, this is where you need to know and understand the job description and your resume. You should pull up both on your tablet or laptop, so you can reference them during the conversation. HR is looking for two essential things. First of all, they want to ensure you’re able to talk the talk and that your experience lives up to your resume and/or cover letter. Let me be clear: Don’t stretch the truth on your job application. This will come back to haunt you in the long run. Again, if you don’t have the exact experience they’re looking for, you need to have clear talking points as to why your skills and background have brought you to this point, as well as why your experience satisfies the hiring manager’s desired qualifications. To address this, we recommend the three Ps of interviewing, especially if it is a stretch role. Those are practice, prepare and practice again! Additionally, HR is looking to see if you are a good “cultural fit” with the company. Does this person add value to the discussion? Do they “smile” on the phone? Do they seem like a good fit for the organization? Do they have awards or other skills that aren’t on the resume/CV that could add value to the organization? Some companies look for candidates that vibe with their current employees and hold the same values and vision. Others are eager to embrace different skill sets and diversify their team. There are good arguments for both, and it really just depends on where the company and culture are at any given time. Regardless, HR and recruiters are screening you to make sure you’re a good fit for the position and the company. If the call is with the hiring manager, you need to embrace the 3 P’s (which we discussed above) and do extensive research on the company, hiring manager, and even the team. Do your research on LinkedIn, (and no, it’s not “unprofessional” to look at their profiles) and search for common ground that can ultimately become talking points during your phone call. Also, make sure to check out the company’s social media accounts. Corporate social media is a wonderful place to get a better feel for the company, check out any recent press releases, or even product launches. (This can also often give you a sneak peek into their company culture!) Remember, they will be doing the same with your social accounts. Do an online audit of yourself and make sure everything is professional. Again, like with a phone call with HR or a recruiter, have any necessary documents you need in front of you to reference during the interview. Above all else, be yourself and be confident in your skills. You got this! So, You Landed An Interview… Now What? First, congratulations are in order. It can be tough to get an interview! So what do you do now? Well, it depends on the type of interview that you get. Let’s look at a couple types of interviews and some things that can push you to the top of the candidates that are interviewing for the same role. This one is sometimes overlooked, but can be a quick deal breaker. You must do your due diligence on the company and the role. This is where you want to make sure you know what the company does, goals, growth plans, recent mergers, relevant news on the company. Study the role and the description. If this is a stretch role for you, you need to have talking points as to why it makes sense that you are qualified to take on this role. If this is a growth role, you need to clearly articulate what you have done that brings you to the place you are today and why that experience makes you qualified for the role. Have this info ready and at hand to reference on the phone. The same above applies, but you really need to add a couple things. Research the hiring manager on LinkedIn or other publications that they are referenced in. Note: You aren’t stalking them, you are looking for similarities. Did you attend the same university? Do you both enjoy hiking? If you are on the phone, have all this info pulled up in front of you so you can reference it quickly on your laptop/tablet. In person, you need to make sure you have studied this info beforehand, so you can have it at the ready as you need the info. During your interview, determine who is leading the interview and make sure you are keeping eye contact with them and engaging them in the interview. When it is time for you to ask them questions, you need to engage with everyone on the panel if possible. Granted, if you are in front of 10 people, that isn’t quite possible to ask each of them direct questions, but you can certainly try to keep as many of them engaged as possible. You can ask a question of a group of them on the panel. Let’s say you have 3 peers and the hiring manager and his/her boss interviewing you. You can ask the peers a question, something like, “I know I will be working with the 3 of you, can you help me understand how you would like me to interact with you?” Or, “I would like to ask the 3 of you, how does the team interact and engage on a project together?” These allow them to decide who is going to talk and they can all chime in as they see fit. Again, LinkedIn and google searching for this person. This usually happens after some of the above interviews have already happened, so you should be doing quite a bit more research on the role and the company as a whole. Get more in-depth with every interview. At this stage, you really need to have a good understanding of what the company is doing and where they are going. Vision, mission, and maybe even financials if they are public to give you an overall picture of how the company is doing. You also need to call in “favors” of those that you know that work there or know the person you are interviewing with. Companies want to hire people that are passionate about the company and the role. So, if you want to make sure you are at the top of the candidate list for the job, prepare, prepare, prepare and practice. 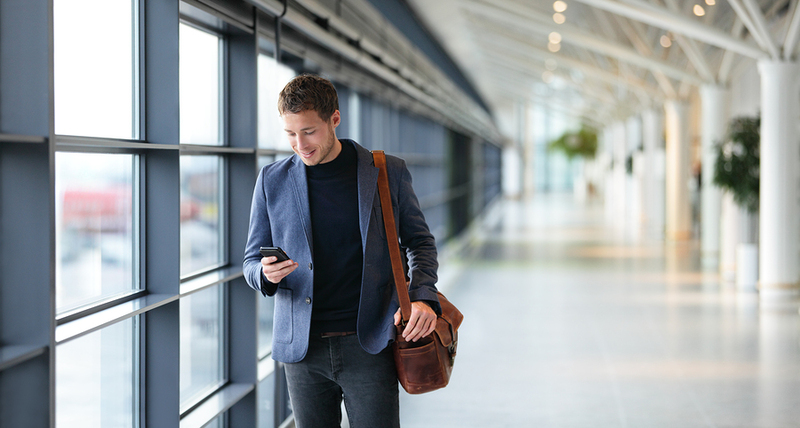 Want more information on landing your next job? Check out my other blogs here. https://johnsonsearchgroup.com/wp-content/uploads/2016/10/bigstock-Man-on-smart-phone-young-bus-112112345.jpg 482 900 Tracy Isakson https://johnsonsearchgroup.com/wp-content/uploads/2015/10/johnson-search-logo.png Tracy Isakson2016-10-26 09:16:192016-10-26 09:19:29So, You Landed An Interview... Now What? Don’t let anyone tell you that a phone interview is basically the same thing as an in-person interview. They are so, so different and it’s important to change up your preparation to fit the situation. We put together our top tips for acing your phone interview, no matter the industry, level or location. I always liked to research some typical phone interview questions (or even company-specific industry questions on Glassdoor) and write my answers out. That way, when those questions came up, I could reference my notes and give a well-thought out, concise answer. There is nothing, and I mean nothing, worse than not being able to hear someone during a phone call, let alone a phone interview. It’s awkward, unprofessional, and could ultimately ruin your chances of being hired (even if you’re a perfect fit!) There are many factors that affect how you sound over the phone including your environment, your phone, and elements that are out of your control. I recommend running a test with a friend or family member prior to your phone interview. Set yourself up for the phone interview exactly how you plan to during the actual event, including your outfit, notes, computer, and exact location. Try every possible scenario including on speakerphone/off speakerphone, moving around, rustling papers, etc. Have your partner tell you if anything sounds off or is particularly distracting. I can’t tell you how many times there have been phone interview mix-ups concerning time zones, this week vs. next week, and who’s calling who. 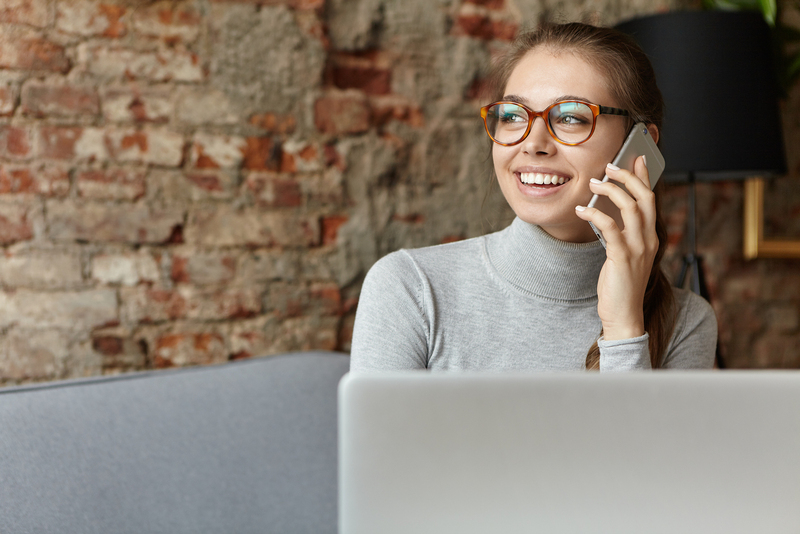 Prior to your phone interview, make sure you confirm the exact day and time and how you and the interviewer will connect. It can be very difficult to come back from a missed interview, even if it was over a simple mistake. Phone interviews are often with a member of the HR team or someone else who isn’t the actual Hiring Manager. This means that whoever is conducting your phone interview will probably be taking copious notes to relay to the powers at be, resulting in some quiet moments while they write or type. DO NOT feel that you need to feel these empty spaces with additional explanations. Instead, take the opportunity to prepare for the next question. A phone interview is usually one of the first steps in the interview process. It’s completely appropriate and important to ask about next steps so you aren’t left wondering what you should do next!